Seen here with its larger counterpart, the Pitbull PB148, the Pitbull PB678 features a large access opening for easy material removal. The Pitbull PB678 joins the company's lineup as a smaller version of the Pitbull 148 static grizzly. The new grizzly's designation — PB678 — references its 6-ft. deep, 7-ft. high and 8 ft-wide dimensions. 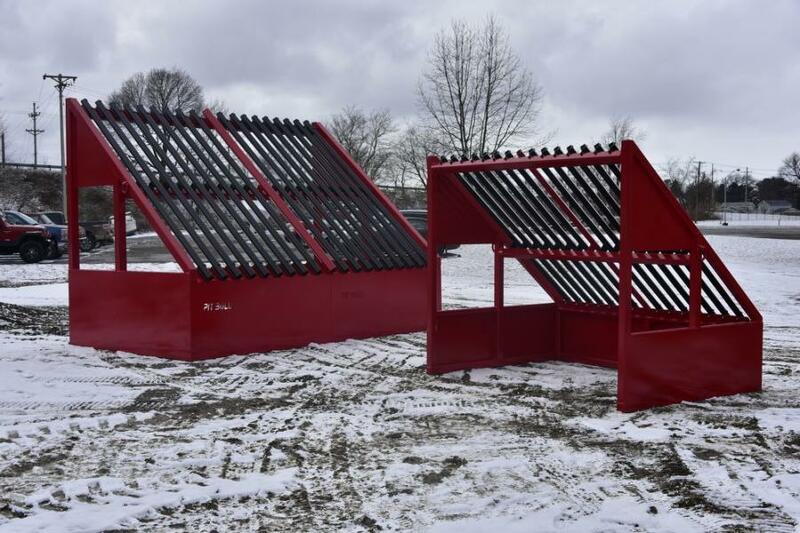 The PB678 is just as durable as its 8-ft. deep by 14-ft. wide by 10-ft. high counterpart, and is able to withstand demanding applications and years of service with a rugged, tubular frame construction. The grizzly's compact size offers excellent portability and is ideal for work with skid steers and backhoes. Applications include landscape and municipal work, as well as work on tight construction sites where compact equipment is required. The PB678 transportability also makes it an ideal rental unit. 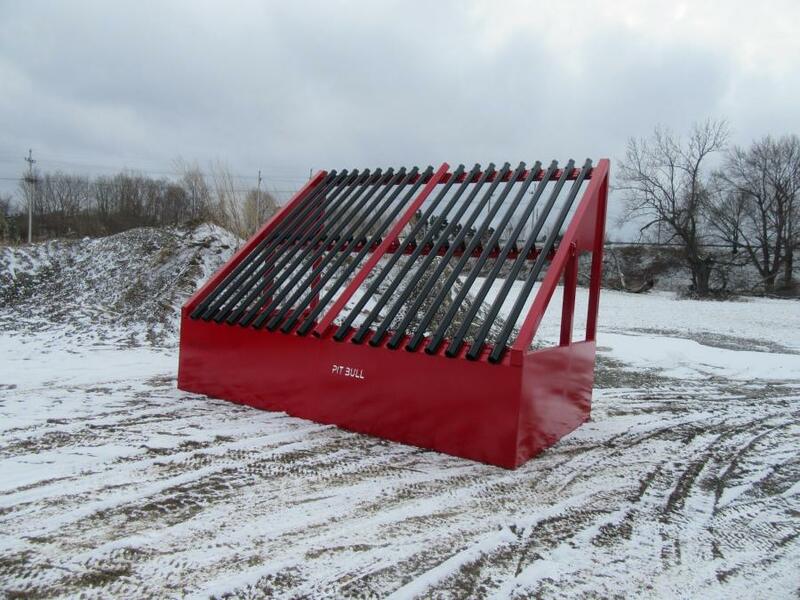 The Pitbull PB678 comes factory-equipped with 18 bars manufactured of 2-in. square steel tubing with a ¼-in. wall thickness. Set at approximately 2-1/2 in. 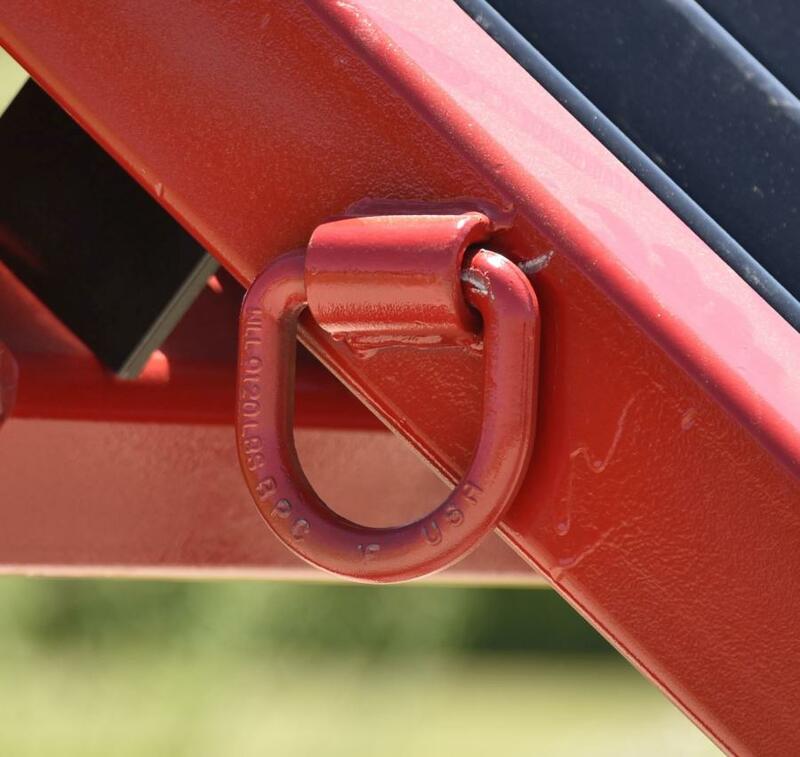 minus spacing, the readily accessible bolt on attachment of the bars makes spacing adjustments to accommodate different materials sizes quick and easy. Additional bars may be added to change up the configuration to a minimum of approximately ½-in. spacing, or bars may be removed to facilitate screening of larger materials. 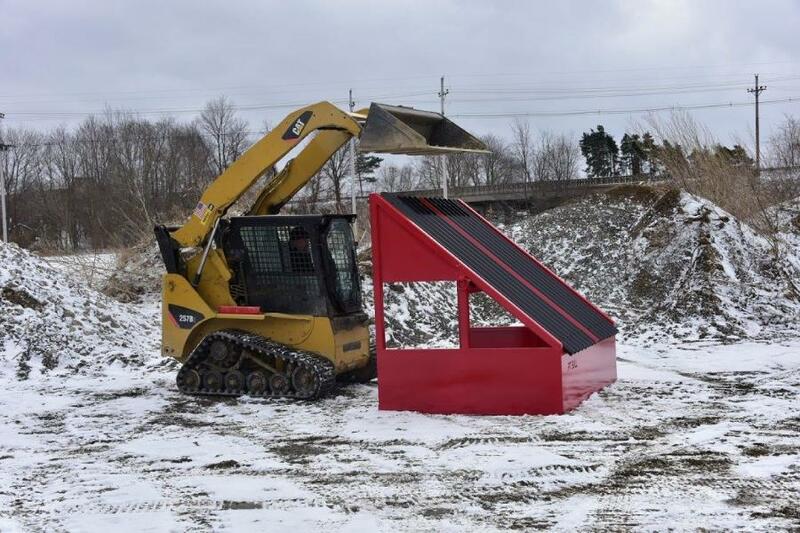 Despite its compact size, the new grizzly features a large access opening under the screen deck for removal of materials and an expansive 76-in. deep by 100-in. long deck area. The PB678's operating weight is 2,416 lbs. 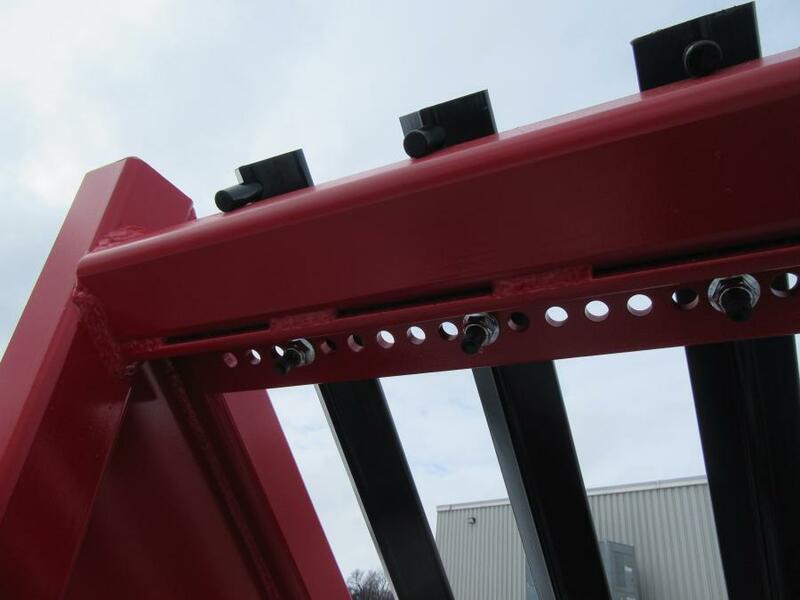 and is manufactured with heavy duty "D" rings for safe and efficient loading and unloading. For more information, visit www.pitbullscreeners.com.